Craft Warehouse is a company providing inspiration and creativity for anyone especially children. You can play and learn something new and share your creativity to others. The company is a family business with location in in Oregon, Washington and Idaho. The stores are well organized, clean and full of imagination stores with staffs that are friendly and knowledgeable. Visit the shops if whenever you need home decor and creative projects. It serves almost everything including fabric to floral to framing to paper crafts and beading. If you think your inner creativity is suitable for anyone, you should share through it. If you have difficulties with unique and fun project, you can come and learn the latest skills and popular trends. Sometimes in your craft project, you will need to use an ingredient called the ice resin. Ice resin adds color and strength to your craft projects especially jewelry. But you can use resin alone to cover an image. It can be mixed with sand, paper, grass, sticks or metal objects making a great layer result. It provides effect of crystal clear results. Craft Warehouse suggests you to use it to cure old resin craft by first placing it under a desk lamp and let it warm. Apply the resin with a squeeze bottle, syringe, sponge or paint brush, and let it dry for about six hours. The curing result will be completed in three days. Ice resin consists of two parts, resin and hardener. You have to mix them equally in the same cup by measuring carefully. Put resin into hardener and beat them for 1 minute. And then mix them completely to the sides and the bottom of the cup for 2 minutes. Rest the mixed resin for 5 minutes to allow the self-leveling chemistry to work. This will remove the tiny bubbles. Please be patient. You can provide warm task light to help the process. The working time will need a total of 45 minutes for resin to start to cure. The resin will harden in six to ten hours according to temperature. The best condition is the humidity-warm. It is recommended by Craft Warehouse to cover your work space with plastic tarp to avoid messing. Add slightly oily finish to the plastic so the resin is not stick to the plastic. Provide a tooth pick to apply resin into the tiny corners of bezels or to pop air bubbles. 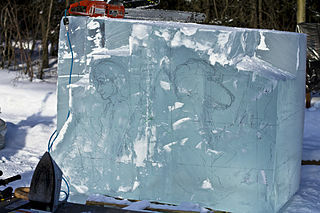 Ice resin is Non Toxic, non-Yellowing and cures Crystal Clear like Glass so it is safe and work perfectly to any object.